This weekend, The Great Gatsby didn’t quite overtake Tony Stark and his mechanical suit of wonder in Iron Man 3, but the literature-inspired flick did make quite a dent in the weekend box office. And that means many you flocked to the theater to see what Baz Luhrmann did with F. Scott Fitzgerald’s beloved text and maybe, just maybe, the polarizing adaptation left you with a few burning questions. That’s what we’re here for. 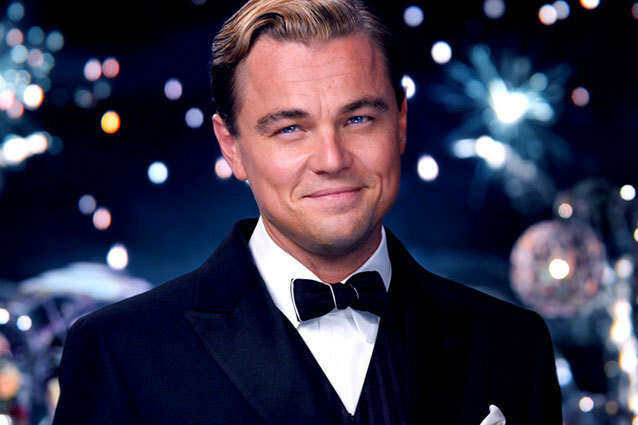 We’ve got the scoop on the history and production of Luhrmann’s The Great Gatsby. 1. Those parties were breathtaking! Did Luhrmann actually throw extravagant parties and capture them on film? 2. Most of the song covers are pretty easy to identify, but who’s the woman covering “Crazy in Love” in the flower scene at Nick’s (Tobey Maguire) house? 3. They drive around like mad men with no knowledge of seat belt safety in this movie – didn’t they have normal safety measures back then? As it turns out, they didn’t. Some cars came with flimsy seatbelts, but there were no laws governing the use or inclusion of seatbelts in the design of motor vehicles. It wasn’t until 1964 the seatbelts were made standard by law, and even then, the requirements only stated that cars needed belts in the front seat. It was a dangerous time to be a driver or even in the vacinity of cars – something poor Myrtle Wilson has to learn firsthand. 4. Is Tom Buchanan’s racist book real? Did people in the ’20s really think there was an actual war between the races? Almost. Tom’s book, The Rise of the Colored Empires by some man named Goddard, is not actually a real book. However, the idea that black Americans were some foreign force seeking to take over the white man’s hold on America was a real theory proclaimed in a similarly-named book by Theodore Stoddard in 1920. His book was called The Rising Tide of Color Against the White World Supremacy, so if anything, Fitzgerald’s version was a much milder version of the truly hateful book from Stoddard. 5. Jordan Baker and George Wilson are scene stealers! Where do I know those actors from? Wilson is played by Jason Clarke, who you may recognize as a scene-stealer from other films like Zero Dark Thirty, in which he played an FBI agent who introduced Jessica Chastain’s character to the underbelly of interrogation tactics, and the summer drama Lawless, in which he played a member of a free-wheeling bootlegging family that included Tom Hardy and Shia LeBeouf. He’s certainly an actor to keep an eye on in upcoming films like Dawn of the Planet of the Apes. The actress who plays Baker, Elizabeth Debecki, is a rising star in Austrailia, but this is her first introduction to American audiences. However, her arresting performance as the lithe golfer is sure to make her a face to watch stateside as well. 6. Is the Valley of Ashes a real place in Queens, New York? It was. Though the that place no longer exists, it was a real area of Queens that has since become Flushing Meadows Park and was once known as the Coronoa Ash Dumps. The signature ashes were repurposed, at the request of Robert Moses (the “master builder” of mid-20th century New York City), to create the base for the Van Wyck expressway, which runs alongside the park. Flushing Meadows park built for the 1939 Worlds Fair (and little beknownst to Moses, the opening title sequence of King Of Queens, and the closing sequence ofMen In Black). 7. Gatsby (Leonardo DiCaprio) makes such a big deal about all those oranges and the juice presser. Was it really a sign of wealth to have a mountain of citrus fruit at your disposal? Not really. But man, does it look beautiful on the screen. In the early 1920s, it cost about $10 dollars for the “200 oranges” Gatsby boasts for his morning mimosa with Daisy (Carey Mulligan), and the modern day equivalent of that many citrus fruits is about $130 dollars. It’s chump change for a millionaire, but while the notion that he had someone fresh pressing his OJ for him every day in record time on some fancy juicer was the real luxury, it certainly makes for a better image to have an avalanche of orange orbs. 8. Myrtle’s dog might have been the cutest movie dog in the history of movie dogs. Seriously. How do I get one? What kind of dog is he? If you want a pup like Mrs. Wilson’s gift of adultery, a grey schnauser puppy would do it. 9. How historically accurate are Daisy’s clothes? That jewel-network of a dress at Gatsby’s party seems a bit modern. But what you realize even by the early ’20s, just about any silhouette–from a bias cut, to a strapless, to a robe de style, had all been invented. One shouldered looks, beading, embroidering, harem pants, feathered skirts, halter necks, v-necks… all kinds of different silhouettes. We think of the ’20s as a shift, a beaded embroidered fringed shift. And in reality the silhouettes were incredibly varied and had all kinds of influences form folkloric to Arabic, Orientalism–every kind of influence that you can possibly imagine, including Egyptian by the time Tutankhamun’s tomb had been opened up. So there you have it. 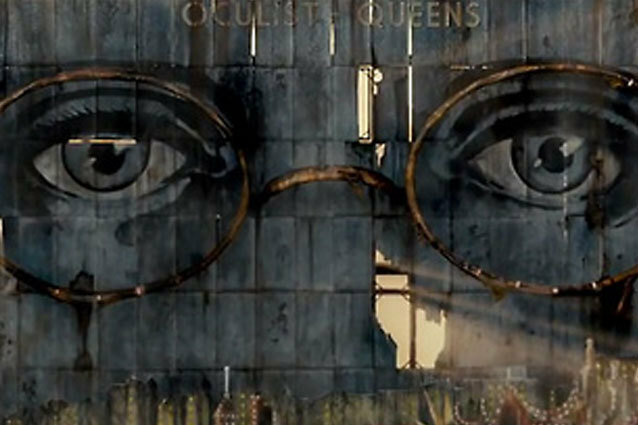 What else about The Great Gatsby left you with a quizzical brow?